The other style is a bellows assembly, the RCB100-1224. 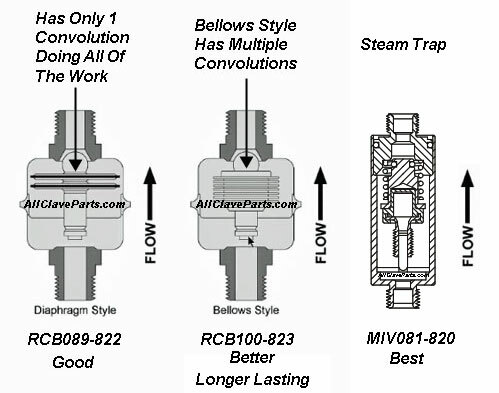 This style assembly, offered by AllClaveParts, has several convolutions doing all of the work so it lasts much longer than the diaphragm style. Now you have a choice its the AllClaveParts Advantage!